People who have been around dogs for a long time often can tell when something is just not right. 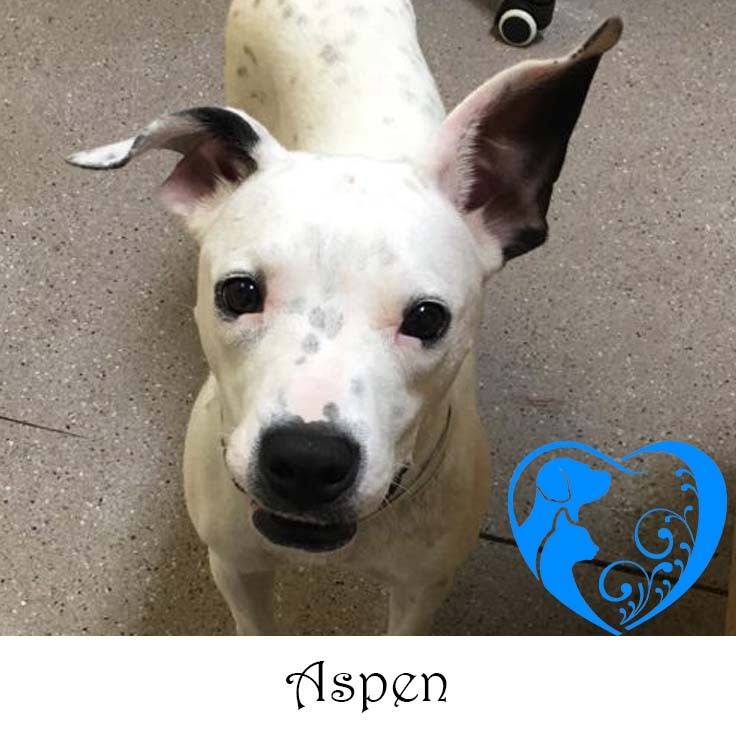 When Aspen arrived at Cumberland County Animal Shelter (Friends of Cumberland Co, NC Shelter Animals), the staff and volunteers just knew that her slight limp in her back leg was probably an old injury. She was assessed with a sweet temperament and took treats gently from volunteers. She even held her treat in her mouth to fully enjoy the love bestowed on her by the staff. 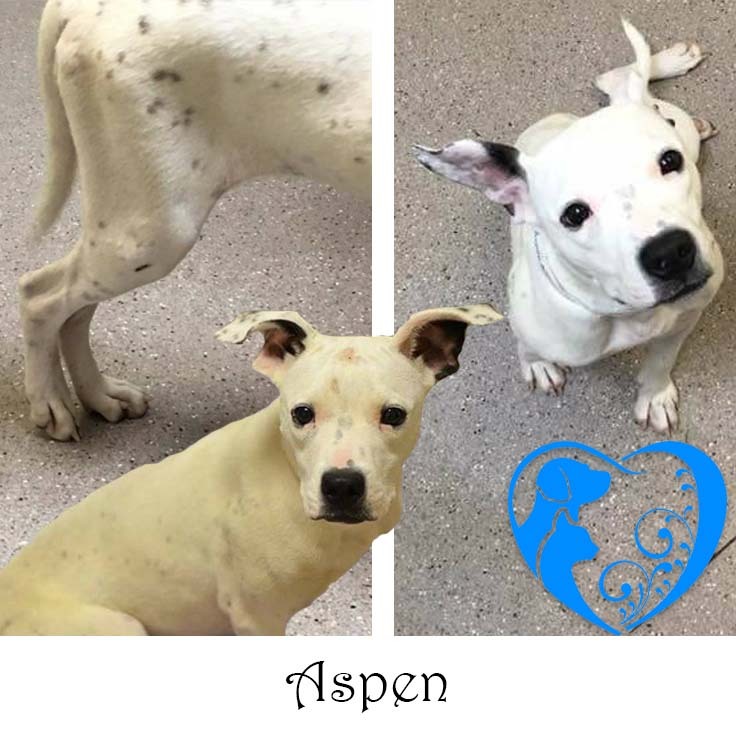 We pulled Aspen when one of our foster homes opened up and got her right to Animal Hospital of Fayetteville, PA. After a thorough exam and some x-rays, it was determined that this sweet, 10 month old baby was horribly injured a few months ago. The vets think that she was either hit by a car or kicked by a horse or deer. The impact broke a part of her pelvis which has since healed without medical attention. The injury to her femur (the top bone in the leg) was more severe. The ball of the femur is so crushed and destroyed that it does not fit into the socket of the hip. So, Aspen’s leg constantly slips out of the socket. The sweet girl has endured quite a bit in her short life. Today, Aspen is undergoing an FHO surgical procedure to remove the top part of her femur. The scar tissue that will develop after the surgery will create a false joint that should allow her to fully recover and regain the use of her leg. Animal Hospital of Fayetteville sees a lot of these types of procedures every year and several of our past dogs have had to have the procedure done. Aspen is in great hands. The cost for her surgical procedure, spay, and other associated medical bills is estimated at around $1000. Please consider donating to help Aspen get back on all four paws. You can donate directly to the vet’s office at 910-323-1535, to TARA via Paypal at info@tararescue.org, or in person at one of our adoption events at the PetSmarts on Skibo Rd. and Ramsey St. in Fayetteville. TARA would like to send a special THANK YOU to Daisy’s Pearls, LLC for their $500 donation towards Aspen’s care. Last PostAdoptable Dogs (as of July 7, 2017)Next PostNeed Help?